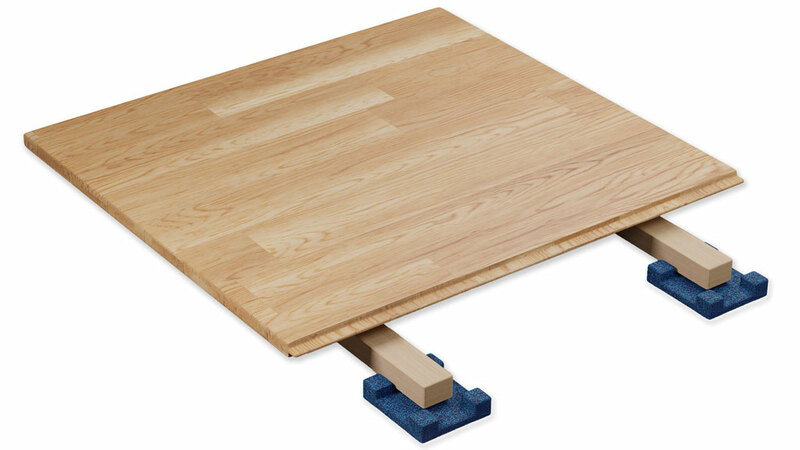 The DYNAMIK Flexi-Beam Elite system is a sprung area elastic sports floor. It incorporates flexi-beams which support a 22mm hardwood board. The system can be packed and levelled to take out variations in the sub floor. The structure of the Flexi-Beam Elite system provides a stable base for the 22mm board and allows for underfloor heating and insulation to be incorporated between the beams. Given it can be packed and levelled off a structural slab the requirement for a levelling screed is avoided. The Flexi-Beam Elite system is manufactured to combine a solid hardwood wear layer with a high density multi-layer plywood core. The high density multi-layer core provides superior indentation resistance and high dimensional stability.